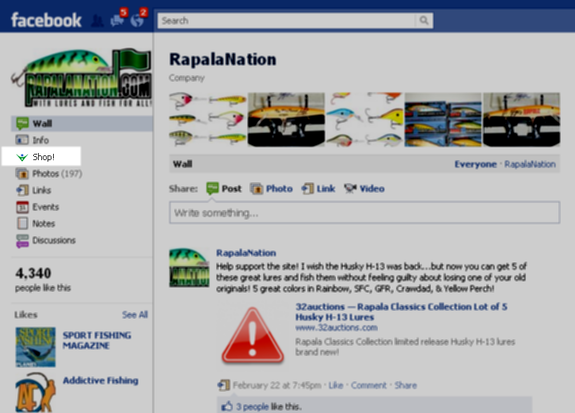 Starting March 10th, 2011, Facebook will be automatically upgrading all fan pages to a new design. You can read more about the new design and how it will benefit you here. 1. 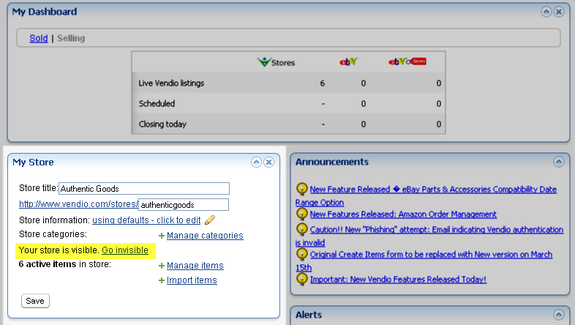 Make sure that your Vendio Store is live and visible. 2. Click here to visit the Vendio Facebook application page. You will need to log into your Facebook account and then you will be prompted to log into your Vendio account. 3. Sync Vendio Store to Facebook and add the Shop! link to your Facebook fan page by visiting the Vendio Facebook application page and clicking on the “Add to My Page” link. 4. Done! 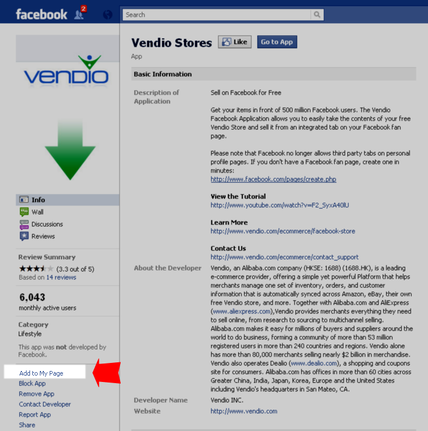 You can now sell your Vendio Store products from your Facebook fan page. This entry was posted on Saturday, February 26th, 2011 at 10:24 pm	and is filed under Vendio Platform. You can follow any responses to this entry through the RSS 2.0 feed. Both comments and pings are currently closed.